Anne Bassett is a Professor in the Department of Psychiatry at the University of Toronto. She is Director of the Clinical Genetics Research Program at the Campbell Research Institute of Centre for Addiction and Mental Health and Director of the Dalglish Family Hearts and Minds Clinic at the Toronto General Hospital, the worlds first clinic for Adults with 22q11.2 Deletion Syndrome. She holds a Tier 1 Canada Research Chair in Schizophrenia Genetics and Genomic Disorders and the Dalglish Chair in 22q11.2 Deletion Syndrome. She is an Associate Member of the Canadian College of Medical Geneticists. 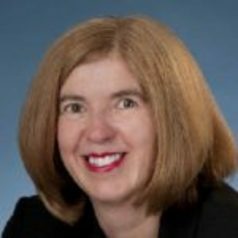 She is a Senior Scientist at the Toronto General Research Institute Dr. Bassett is the author of more than 170 peer-reviewed articles, other papers, and book chapters, and has had consistent funding from CIHR, NIH and other agencies for her research program. She teaches graduate students in medical sciences and in genetic counselling at the University of Toronto and supervises students and trainees at all levels.Dr. Bassett is an internationally renowned expert in the genetics of complex developmental disorders, especially schizophrenia and serious congenital cardiac disease (blue babies), as well as 22q11.2 deletion syndrome and other disorders associated with major structural changes in the human genome. Her work shows how translating relevant genetic findings into the clinic can help patients and their families. She has led an international group that has developed clinical practice guidelines for 22q11.2 deletion syndrome, and published guidelines for both children and adults. In 2014, she was awarded the Angelo DiGeorge Medal of Honour, an international award recognizing her contribution to the global understanding of 22q11.2 deletion syndrome. She is an Associate Staff in the Division of Cardiology and in the Department of Psychiatry at the University Health Network (Toronto General Hospital), and also holds academic appointments at Dalhousie University, Memorial University of Newfoundland and Columbia University (New York). In addition to the Canada Research Chair and Dalglish Chair, Dr. Bassett has been awarded the J.M. Cleghorn Award for clinical research excellence from the Canadian Psychiatric Association, has a Distinguished Fellowship from the American Psychiatric Association and is a Member of the American College of Psychiatrists. In 2014, she was awarded the Ontario Mental Health Foundation John Dewan Prize for her contribution to significant new knowledge and concepts bearing upon mental health.